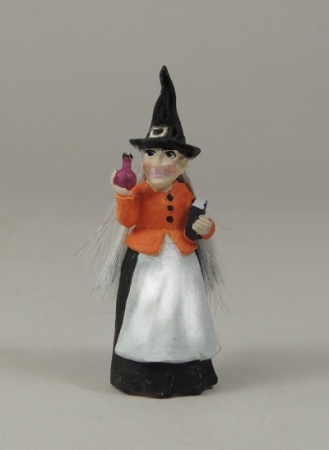 Darling, very highly detailed witch figurine for you to paint. These pieces have been cleaned and primed, ready for you to paint with your acrylic craft paints. Then glue a tiny tuft of viscose wigging into place for her flowing locks. The little witch measures 1 1/4" tall to the tip of her hat.